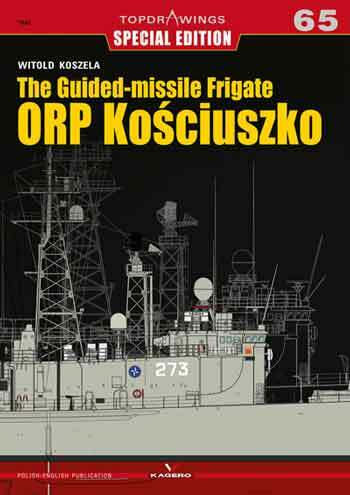 Kagero TopDrawings Special Edition 65: The Guided-missile Frigate ORP Kosciuszko. 15 color photos, sheets in A4 with drawings, one sheet in A2 with drawings, 5 color profiles. Notify me of updates to Kagero TopDrawings Special Edition 65: The Guided-missile Frigate ORP Kosciuszko.